This plan outlines how the POD process works. 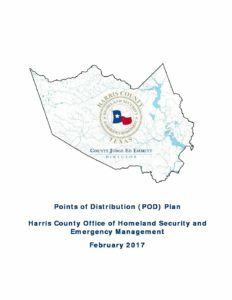 PODs are placed in multiple, centralized locations that are established in the most affected areas after a disaster. These initial points are locations where the general public can obtain life sustaining emergency relief supplies until such time as power is restored and traditional services are in place.